You must use an effective lice comb. This is the most important thing determining your success. There are many nit combs on the market, and some just won’t do the job. Has METAL teeth, not plastic. This is critical. Plastic bends, and will not stand up to the rigorous combing needed to remove stubborn nits. Has teeth incredibly close together. If you see a space between the teeth, then nits that fit into that space can escape the comb. My daughter has extremely fine hair. We found only one standard (smooth-toothed) nit comb with teeth close enough together to really work for her hair. The "Licemeister" comb is endorsed by the nonprofit National Pediculosis Association. (Pediculosis means head lice infestation.) We had bought two other combs at the drugstore that had metal teeth, but the teeth were just not close enough together to work on her hair. There is one other excellent nit comb that has more recently become available in the United States. The Terminator Comb is 100% stainless steel. You can even boil it. 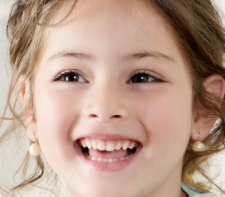 The teeth have tiny grooves on them, which are designed to damage the nits as they are removed. I’ve noticed that most professional lice removal services have switched from the Licemeister to the Terminator. I didn’t have one while we were dealing with lice on my kids, but now I use a Terminator to comb through my daughter’s hair weekly as part of our head lice prevention strategy. Combs with short, close-spaced metal teeth can work if you are combing very short hair. We used a short-toothed comb on my son’s hair to make sure there were no nits in it (after cutting his hair extremely short). For longer hair, you should use a comb with longer teeth (over an inch long) because it’s difficult to keep all the hairs from escaping a short-teethed nit comb as you pull it all the way to the end of long hair. A regular everyday plastic comb should be used to untangle long hair before nit-combing with a metal comb. You will also need a bright light source when you do any nit-combing. Sunshine is best, or a light that can be directed right at the area of the scalp you’re working on. There are a couple of electric combs that are marketed for head lice. The Robi Comb is designed to electrocute head lice, killing them instantly, but it does nothing for nits. The Quantum Magicomb has vibrating teeth and claims to remove both lice and nits. I’m not sure why vibrating teeth are supposed to help. The plain old well-constructed metal lice comb is your indispensable tool for getting rid of lice. Did you know people have been making and using combs for head lice for at least several thousand years? Lice combs have even been found in ancient Egyptian tombs.